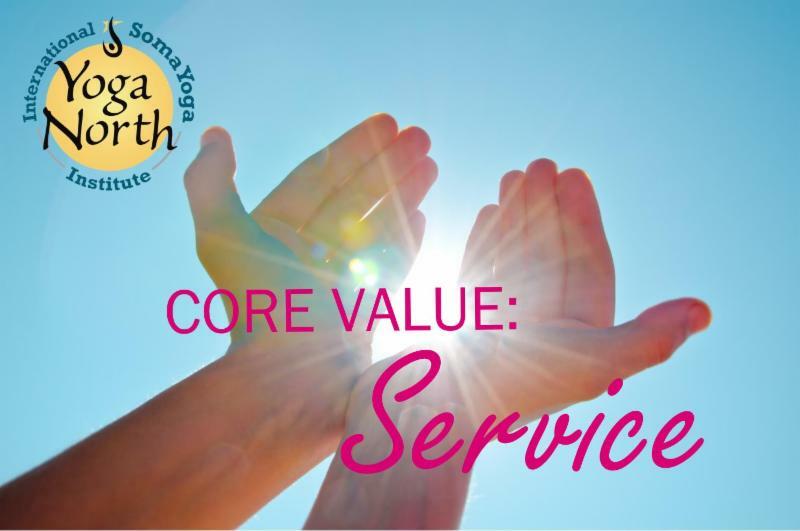 Through Seva or selfless service Yoga North contributes to the improvement of our community. Seva is a Sanskrit word that describes the act of selfless service. Its meaning is said to be embodied by the root words saha, meaning “with that,” and eva, meaning “too,” which together mean “together with.” The act of seva leads to collective benefit and gain, although it is performed without regard for the outcome of the individual. The message of the Bhagavad Gita encourages us to work not for our own sake but for the welfare of all. This sacred text explains that the way out of the maze of karma is not through inaction, which is impossible, but rather through performing our duties without attachment to the fruits of the outcome. To act in a selfless spirit, without ego-involvement and without getting entangled in whether things work out the way we want; only then will we not fall into the net of karma. 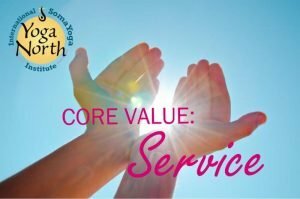 As one of Yoga North’s core values, we use the tenet of SERVICE as a filter for daily decisions and actions. We acknowledge and foster the unique creativity and skills in each other so that we can better serve our community and the world. Giving ourselves the space and commitment to becoming our best/highest selves and providing the space for others to do the same is a true act of service. Our Education Resource Coordinator, Teri, has always had a commitment to supporting other living beings above all else. It has been a lifelong mission of Teri’s to live by “The Campground Rule” – that is leaving the Earth (and all beings on it), in a better state than before she arrived here. Recently, after the birth of her first child, Teri and her family got to be on the receiving end of Seva as the Yoga North community rallied around them to provide them meals, support, and care so that they were able to remain present in this vulnerable and tender time. Though Seva is service that is selfless, it is also a tool we can use to learn about ourselves, our personality and our patterns of behavior. This spiritual and personal development will support our growth as we pause frequently to ask: Is this an act of SERVICE?